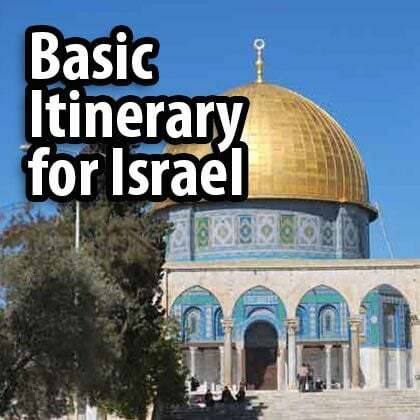 Planning a visit to Tel Aviv as part of a trip to Israel? This post is for you! 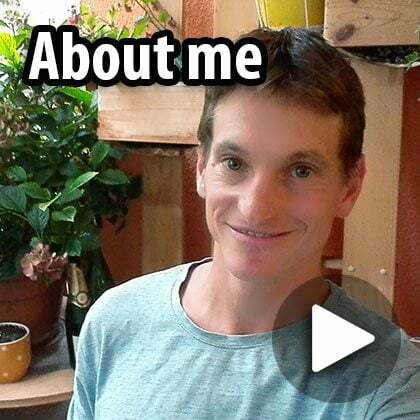 Here is my itinerary for two days in Tel Aviv, with all the most important things to see and do. If the weather is good, start with the first day and, if not, then start with the second day, which has more indoor sites. 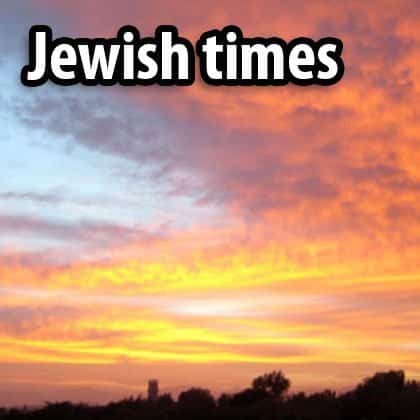 In Tel Aviv it doesn’t get particularly cold in winter, though there are some stormy days, and in summer it can get very hot, with high levels of humidity. 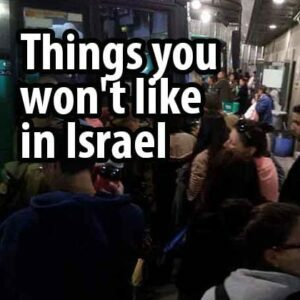 You can take taxis or buses (if you want to use the underground train you will need to wait until 2021) or simply use the best way to get around Tel Aviv: on foot or by bike. Tel Aviv is small and flat. A twenty-minute bike journey from the city center will get you to most places. 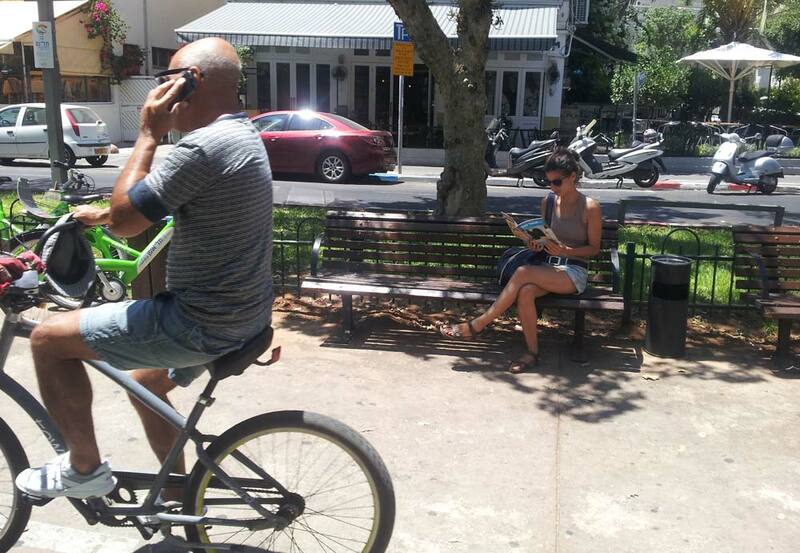 The best way to get around Tel Aviv: by bike. Tel Ofan is the city bike rental service. It costs 17 shekels to hire a bike for the day (you can’t hire a bike for a single journey) and you will need to pay by credit card. After paying you can choose the bike you want and set off. It’s important to remember that you can only ride your bike for half an hour before you have to take it back to a Tel Ofan station. Happily, there are stations all over the city. Once you have brought the bike back you can use it for another half hour. If you don’t bring it back within half an hour you have to pay an extra fee. 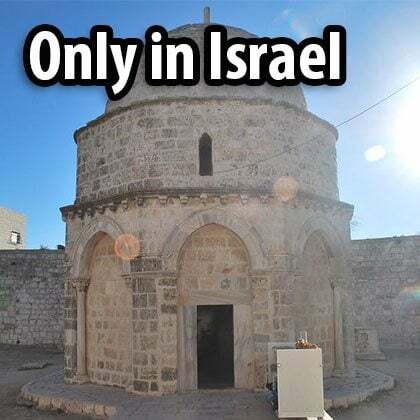 Many of the important sites in Tel Aviv are actually located in Jaffa. 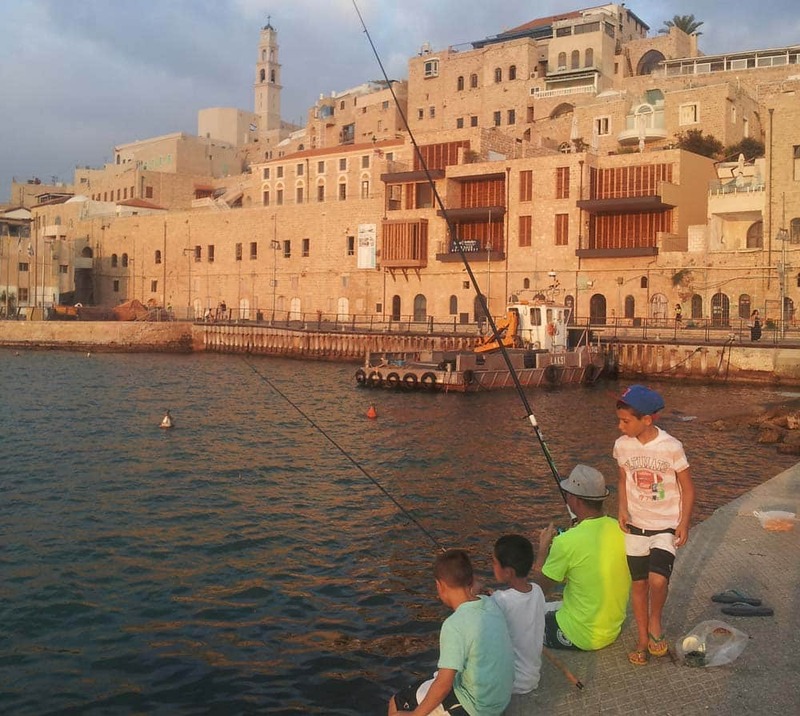 Jaffa is one of the world’s oldest port cities. Most tours (including the one I suggest in my Tel Aviv booklet) start at Gan HaPisga (Summit Garden). 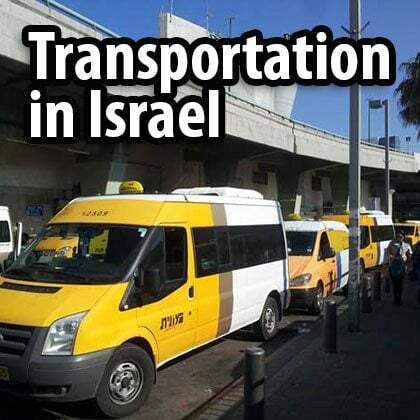 You can either take a taxi or a bus to Sderot Yerushalim (the name of the bus station is Jerusalem Alle/Marzuk and Azar) and from there walk or cycle the 500 meters to the starting point. 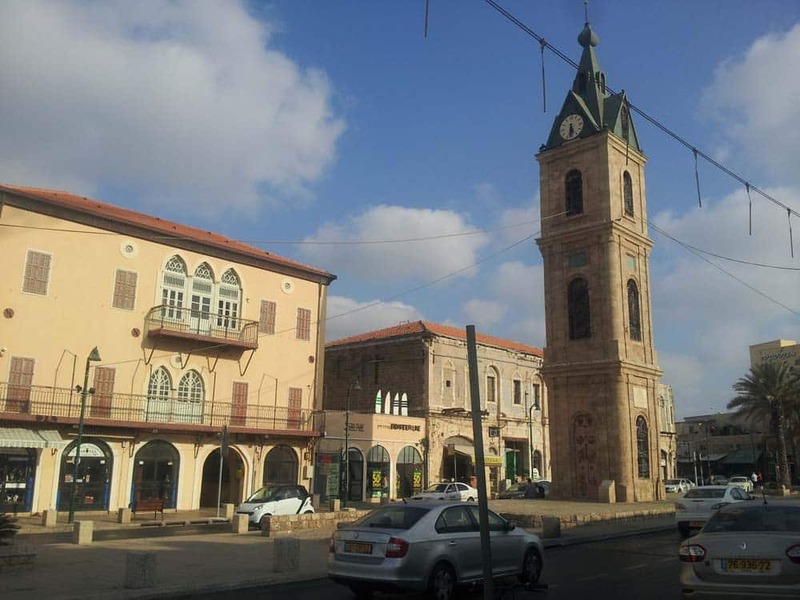 Jaffa Clock Tower. From here, all the important sites of Jaffa are within 5 minutes’ walk. At Summit Garden you have wonderful views over Tel Aviv. From here you can continue to the little streets of Jaffa’s Old City and walk to Kdumim Square, the city’s main square. There is a good underground visitor center that has a multi-media approach to explaining the history of Jaffa. St. Peter’s Church, right next to the visitor center, sheds light on the interesting story of how Christianity split from Judaism. The alleyways will lead you down to the small port. There are some nice art galleries in these little streets but, truth be said, it isn’t particularly lively. From the port, you can continue to the clock tower and from there to the flea market. It’s a great place to shop, but if you do buy something, you should be sure to use your haggling skills. Not only can you buy souvenirs here, but you can also wander around and get something to eat. There are some good restaurants here, selling anything from hummus to fine dining fare: try out Onza, Ramesses, Puaa, or Shafa, to name but a few. The Flea Market. Old Jaffa is very touristy (and expensive). Fela Market is where you will see real Israelis browsing, buying and eating. Hatachana (‘station’ in Hebrew) is a compound that has been renovated. Formerly the station on the first train line connecting Jerusalem to Jaffa, today it is a nice and relaxed shopping compound. 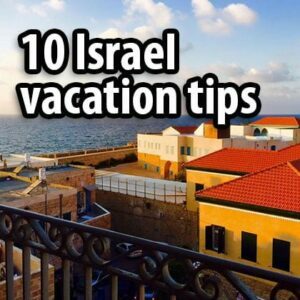 It is a minute’s walk from Neve Tzedek, the first Jewish neighborhood built outside Jaffa and now a very trendy (and expensive) neighborhood. 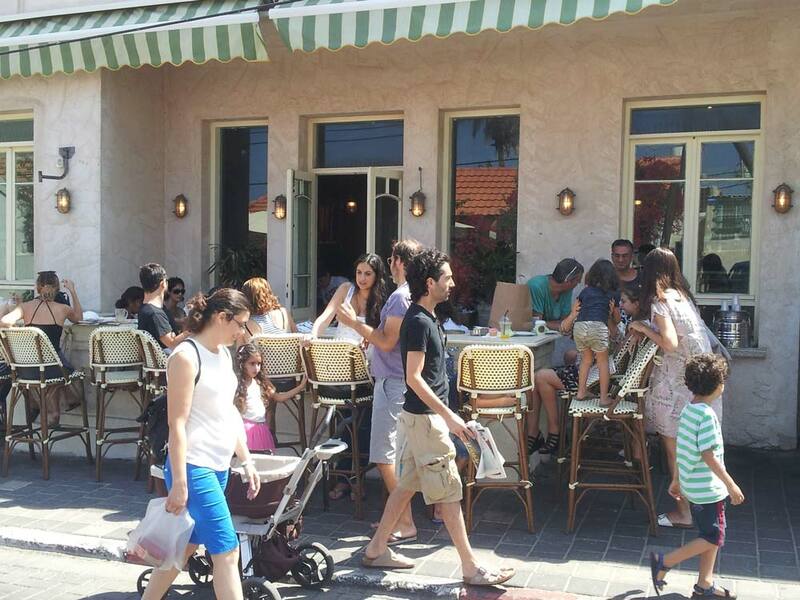 From here you can walk to Rothschild Boulevard, one of Tel Aviv’s most iconic streets. Neve Tzedek on a Friday. In Israel you see children everywhere. 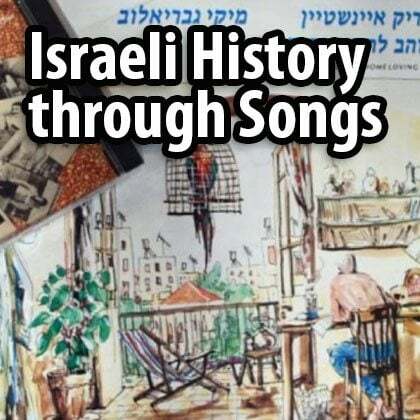 You can visit Sharona, a former German colony that was renovated a couple of years ago, or head to Dizengoff Street, another of Tel Aviv’s major streets. Independence Hall on Rothschild Blvd. 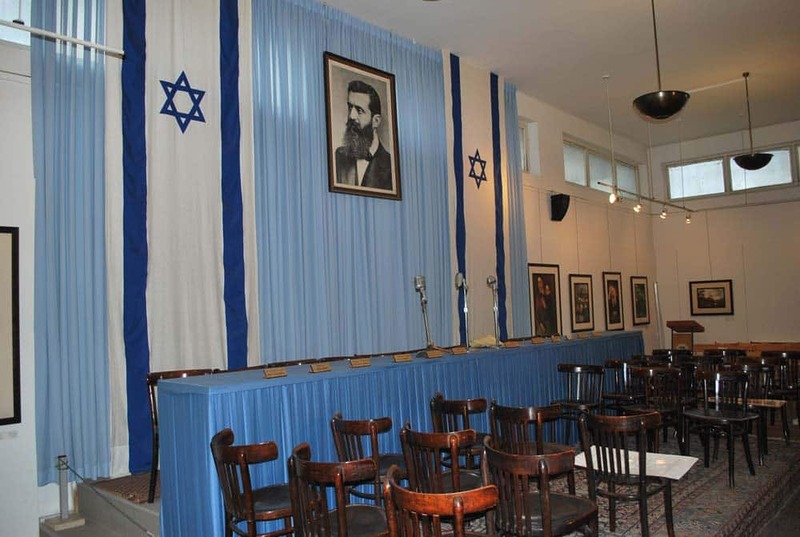 This is where Ben Gurion declared the establishment of the State of Israel. 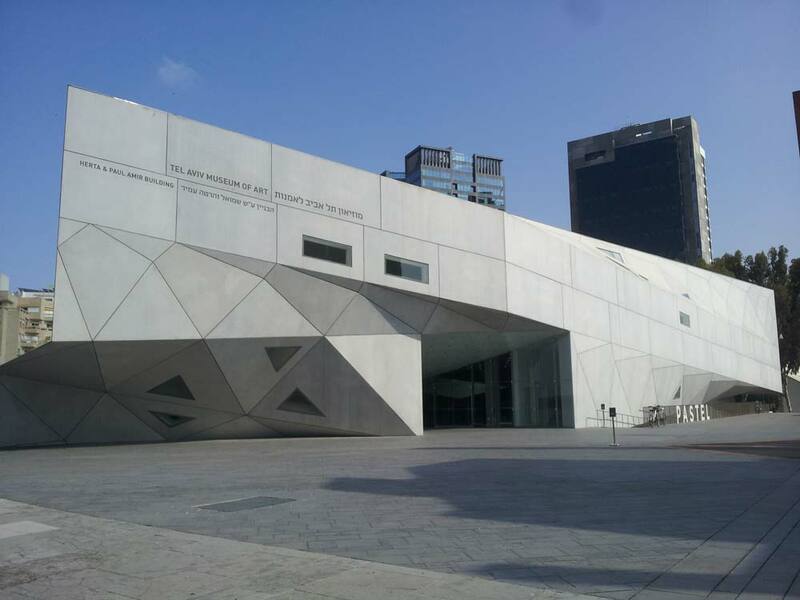 The best museum in the center of Tel Aviv is the Tel Aviv Museum of Art, which is probably the most important art museum in Israel. Above all, the collection presents artworks by leading Israeli and international artists of the 20th century. 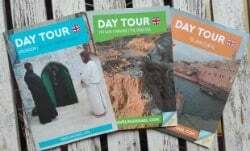 If you can, I’d recommend taking a tour: there’s an English tour once a week. 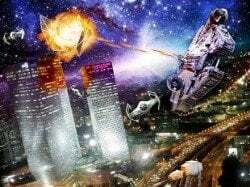 Tel Aviv is said to be the city that never stops and that’s the way it actually is. 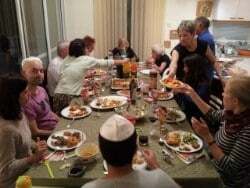 If you want to go out in Tel Aviv then you really can’t go wrong: wherever you go, you will find people sitting outside, be it in the middle of the week or the middle of the night. 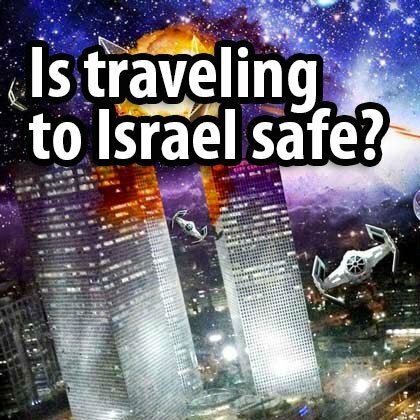 Just head to Dizengoff, Rothschild, Allenby, Florentin, the port or the promenade. Generally speaking, the southern part of the city is more alternative. The only area I would avoid at night is the area around the central bus station. 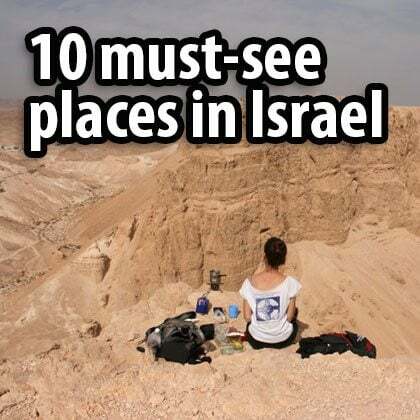 I’d recommend starting your second day with the sites in the northern part of Tel Aviv. 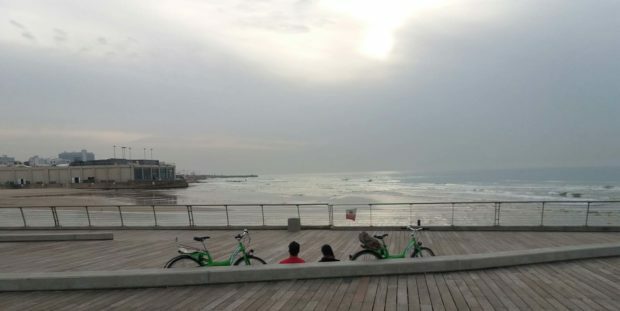 You can cycle north along the promenade then continue cycling north to Tel Baruch beach or instead head east and ride through Yarkon Park. If you’re not a fan of cycling, or if the weather isn’t good, you can always take the bus. If you’re coming to Tel Aviv from somewhere else, you can also take the train to Tel Aviv University station. Beit Hatfutsot. Be sure to go. Apart from Tel Aviv Museum of Art, most of Tel Aviv’s important museums are situated in the northern part of the city. Inside Tel Aviv University is the Museum of the Jewish People (it is called Beit Hatfutsot: no one will know what you mean by Museum of the Jewish People), which presents different aspects of Jewish life. 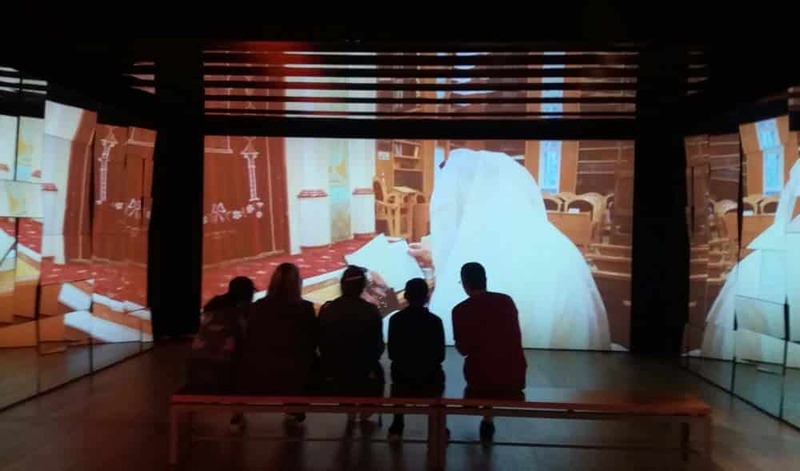 There is a permanent exhibition about different synagogues all over the world, as well as a very good movie that explains the different Jewish prayers. For children, there is an exhibition about Jewish heroes throughout history, from leaders to cultural figures, artists to philosophers. It is a very liberal museum (which makes sense, it being in Tel Aviv, not in Jerusalem). There are also very interesting temporary exhibitions. 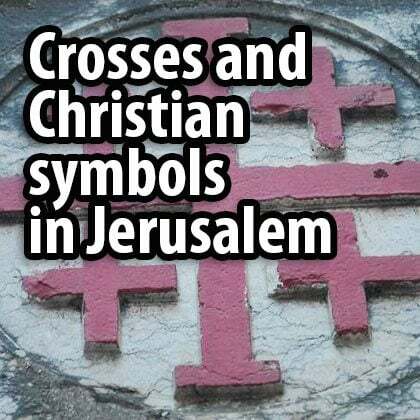 Not many tourists or Israelis visit Beit Hatfutsot but, in my opinion, it is one of the most important museums in Israel, for Jews and non-Jews alike. 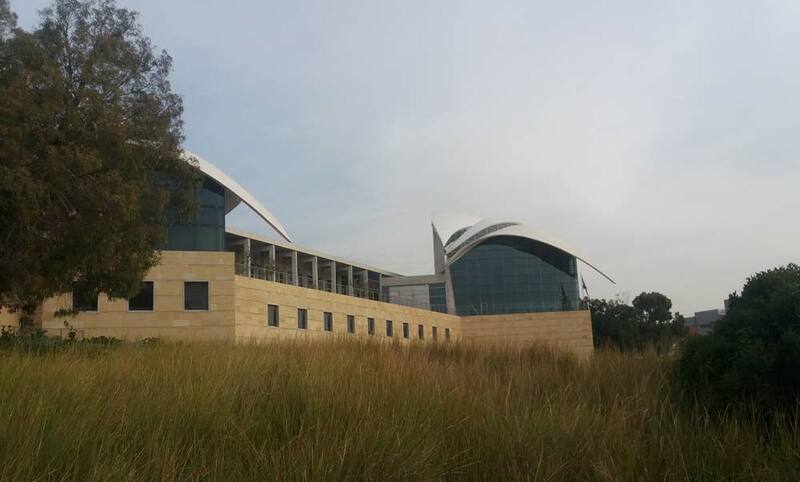 Five minutes’ walk from the university is the Rabin Center. This museum concerns itself with Yitzhak Rabin, the Israeli prime minister murdered by a Jew in 1995. 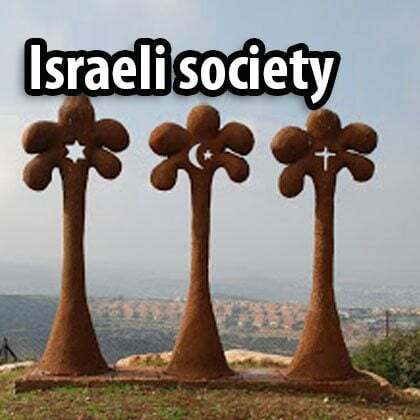 At its center is the Israeli Museum, which explores the history of the State of Israel, including the country’s development, and all its conflicts and challenges. 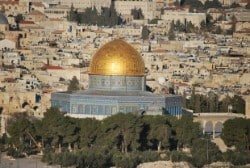 As a tour guide, I can say that there are plenty of sites where I can talk about the history of Jerusalem, or sites connected to Jesus, but the Israeli Museum is the only place that presents a comprehensive history of the Land of Israel, which is a topic I get asked about more than any other subject. The northern part of the promenade. Right next to it is the Eretz Israel Museum (not to be confused with the Israel Museum in Jerusalem). 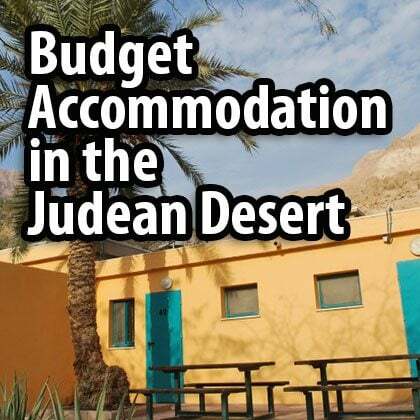 The museum is devoted to the archeology and history of Israel. One section, entitled Man and his Work, provides insights into ancient methods of weaving, baking, jewelry- and pottery-making in the Land of Israel. 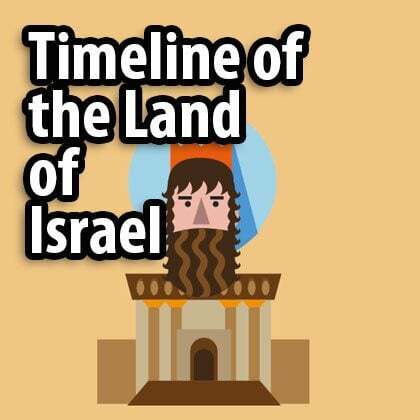 Israel’s first archeological dig took place in Tell Qasile, which is in the grounds of the museum. However, most visitors to the museum visit the temporary exhibitions. 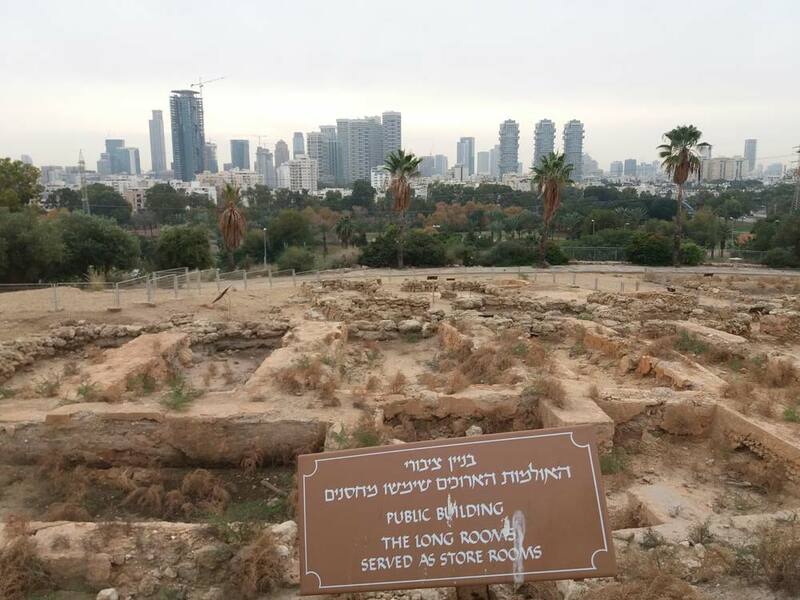 The first (and neglected) archeological excavation in the State of Israel today lies in the grounds of the Eretz Israel Museum. All three museums are worth seeing, but visiting all three in a single day is too much. After one or two museums, you can continue to Yarkon Park and cycle to Tel Aviv Port, which abounds with restaurants, cafés and high-end shopping. The northern part of the city is very clean and quiet. 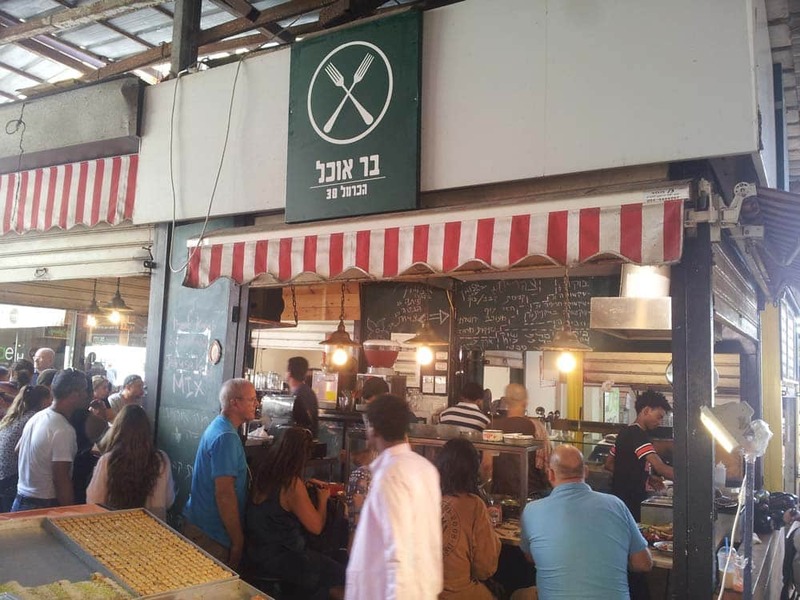 In the center, you can have a late lunch in Carmel Market (Shuk HaCarmel), the best-known market in Tel Aviv. 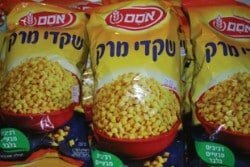 Something good is happening to Israel’s markets. 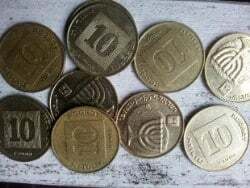 In the 90s, Israelis left behind the markets and started shopping in malls, meaning that a couple of years ago, a market was just a place to buy cheap fruit and vegetables. 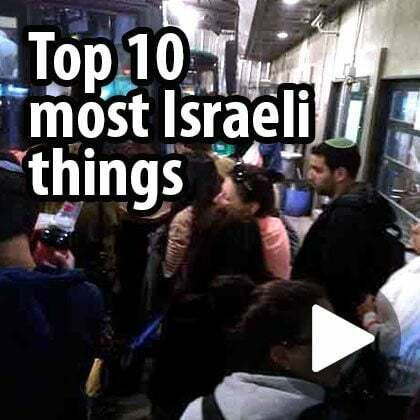 But in recent years there has been a welcome movement back to the markets, and today they are just the ticket for eating, shopping and soaking up the vibe of Tel Aviv, day or night. There are loads of great places to eat around here: HaMinzar, Basta, TheBun, and many others. 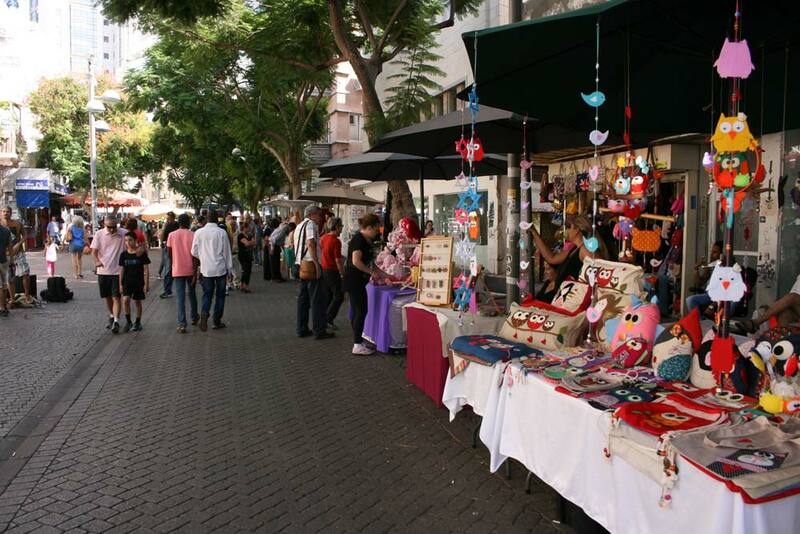 Close to Shuk HaCarmel is Nachalat Biniamin, a street that holds a popular arts and crafts fair on Tuesdays and Fridays. In the area around Shuk HaCarmel, Nachalat Biniamin, and Bialik Square you can see lots of renovated old buildings. 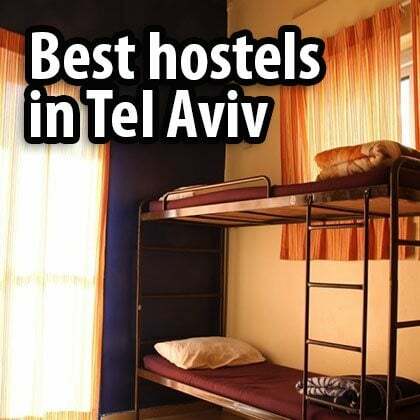 Many of them were built in the Bauhaus style (indeed, Tel Aviv is well-known for this style) or in other eclectic styles. If you read even a little bit about Tel Aviv, you will surely stumble upon the Bauhaus style. It’s an architecture that was brought here by German Jews who immigrated to Israel in the 30s, although I prefer the eclectic style that began here. Nachalat Biniamin, an arts and crafts fair on Tuesdays and Fridays. One key site that I haven’t mentioned is the beaches. 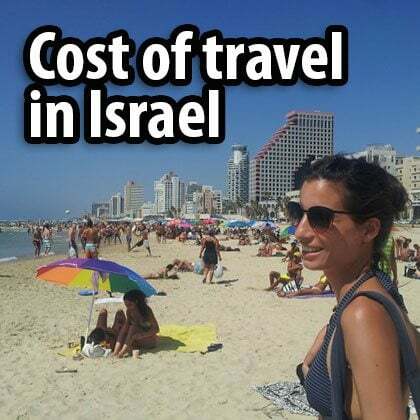 And yet Tel Aviv’s beaches are more important than any particular site. Tel Aviv has a beautiful shoreline and promenade and going to the beach is what people in Tel Aviv do, be they locals or tourists. 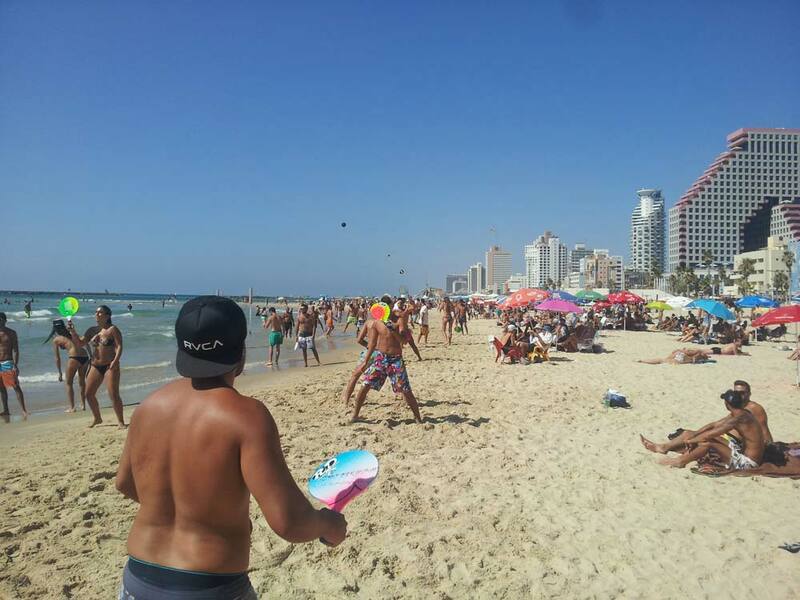 The soul of Tel Aviv is to be found at the beach. Tel Aviv has never looked to Jerusalem or to the past. Tel Aviv’s temple is not a great stone house of God, but rather a sandcastle built by kids that exists until the waves wash it away.